Universal Orlando Resort has announced the event dates for Halloween Horror Nights 2018, plus, some ticket options are now available to purchase for the event. This year’s event will run on select nights from September 14th through November 3rd in 2018. This year will see nine houses featuring the most terrifying names in horror from the past and present. They will be based on hit TV-shows and haunting original stories. There will also be five sinister scare zones. And of course guests will have the opportunity to ride some of their favorite attractions throughout Universal Studios Florida. You can book your tickets with our travel partner Destinations in Florida or check out the event dates and special ticketing info below. New this year is a special Flex Ticket that allows guests to get a second night free to the event. This unique offer is only available through June 6th. The Flex Tickets are $77.99 each and give guests admission to Halloween Horror Nights on two event nights any Sunday through Friday. Vacation packages are available as well. These include event tickets to Halloween Horror Nights and hotel accommodations. Vacation packages start at $215 per night per adult, plus tax. Contact our travel partner Destinations in Florida for a free vacation package quote or see the official Universal Orlando website for ticketing information. 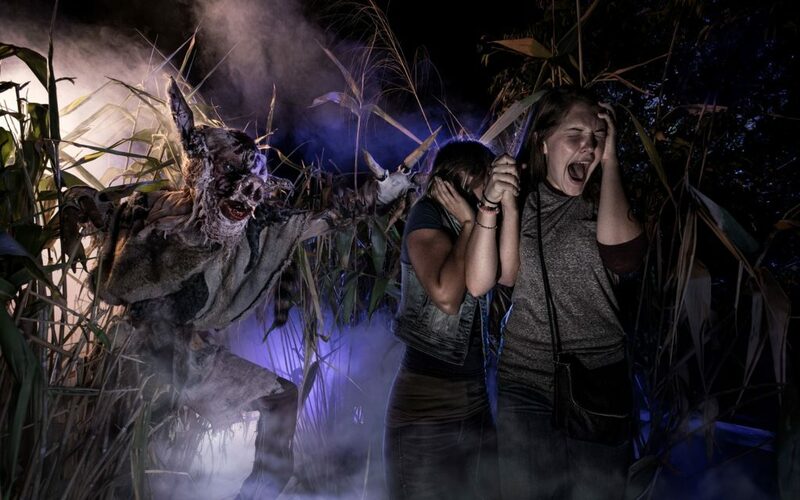 Halloween Horror Nights, the nation’s premier Halloween event, puts you right into some of the most heart-pounding moments in horror history. The streets of Universal Studios Florida theme park come alive with hordes of horrifying mutants, monsters and maniacs. With over 27 years of experience to draw from, nobody creates a more nightmarish Halloween event filled with truly original scares and authentic horror movie moments. 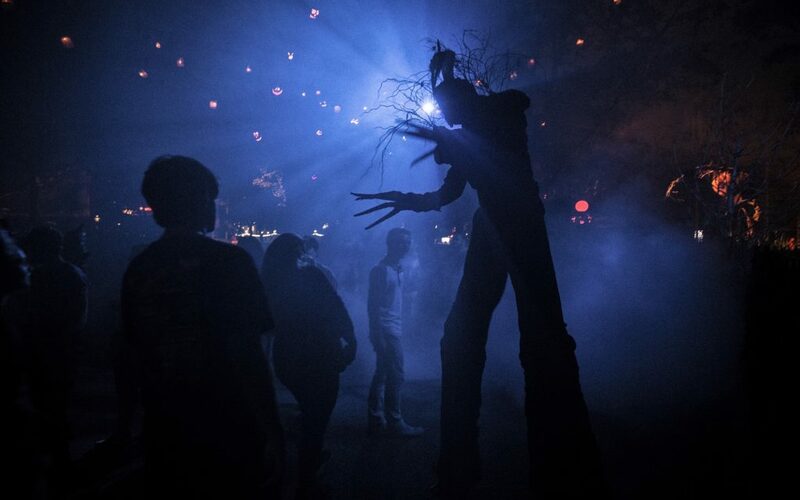 You can explore terrifying haunted houses, make your way through multiple scare zones where creatures lurk around every turn, enjoy outrageous live shows, and experience many of the park’s most exciting rides and attractions. 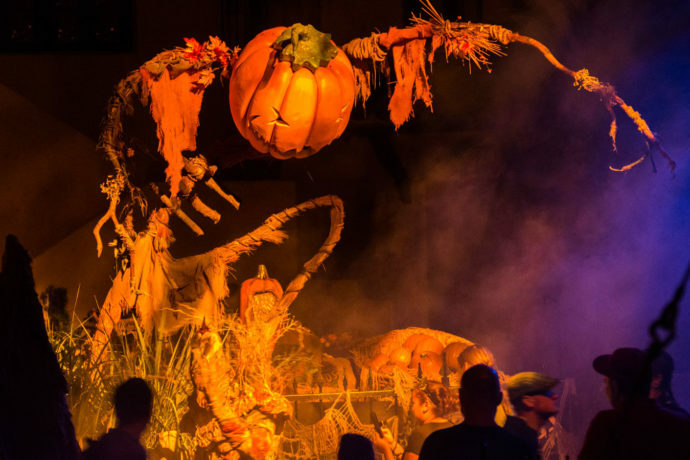 For help booking your trip to Universal Orlando and Halloween Horror Nights request your free quote from Elizabeth at Destinations in Florida today! She’ll help you plan the perfect vacation with the best rates on ticket packages and on-site hotels, and her services are totally FREE to you.